Back Bay Books, 9780316066280, 336pp. In spite of remarkable differences, Tommy and Eric are as close as brothers. Tommy, a delicate black boy, is cursed with health problems and drawn to trouble more often than not. Eric is a Nordic Adonis, graced by a seemingly endless supply of good fortune. 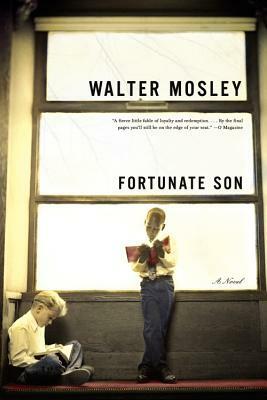 When tragedy rips their makeshift family apart, the two boys are set on courses that diverge astonishingly. In a riveting tale of resilience and redemption that traces their parallel lives, Tommy and Eric ultimately reunite after years apart and draw on their childhood bond as they confront together the forces that threaten to destroy them. Walter Mosley is the author of the acclaimed Easy Rawlins series of mysteries and numerous other works of fiction and nonfiction. He lives in New York.